Jack Grealish is set to sign a new 5-year deal with Aston Villa. The news will cheer fans of the Midlands club but it is bad news for Tottenham because his new contract, according to The Daily Express will reportedly include a £60 million clause which is set to put a definitive end to their pursuit of the 23-year old midfielder. Spurs were linked with a move for Grealish throughout the summer, and had a bid of £25 million turned down for the midfielder, who still has two years left on his current contract. It had been thought that they might be tempted to make another bid for him in January, but that prospect can now be ruled out. 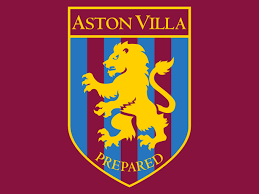 A life-long Vila fan, Grealish has been at the club since he was 6 years old and has already racked up 117 senior appearances for the team. Capped seven times at England under-21 level, he was watched week by England assistant manager Steve Holland in his side’s 2 – 0 home defeat of Rotherham.